IDI is working with local partners in Cambodia and the Boeung Kak Lake community to support their land and housing rights struggle. Until recently, the Boeung Kak settlement consisted of nine villages surrounding the iconic lake in central Phnom Penh, where some 4000 families resided. 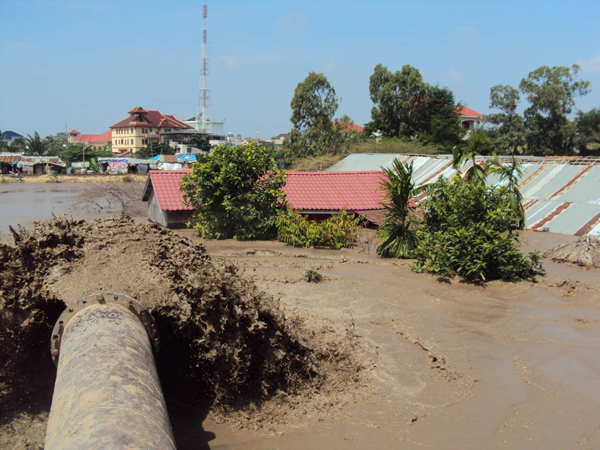 In February 2007, the Municipality of Phnom Penh granted a 99-year lease to the private developer Shukaku Inc. over a 133-hectare area covering the lake and the nine surrounding villages, illegally stripping residents of their land rights. Shukaku Inc is owned by ruling party Senator Lao Meng Khin, a close associate of Prime Minister Hun Sen and major donor to the Cambodian People’s Party. In December 2010, it was reported that the Chinese firm Erdos Hong Jun Investment Co., Ltd. of Inner Mongolia was forming a joint venture company with Shukaku Inc in order to develop Boeung Kak into a high-end residential, commercial and tourism complex. The Cambodian Government granted permission to re-register the lease agreement in the name of the joint venture, called Shukaku Erdos Hongjun Property Development Co. Ltd. The lease agreement usurped the land rights of Boeung Kak residents and threatened its estimated 20,000 residents with forced eviction. It also violated provisions of the Land Law that stipulate that State public property – including lakes, which have inherent public value – cannot be sold or subjected to long-term leases and that lessees must not damage the property or change its public function. In direct contravention of the law, Shukaku began filling the lake with sand in August 2008. 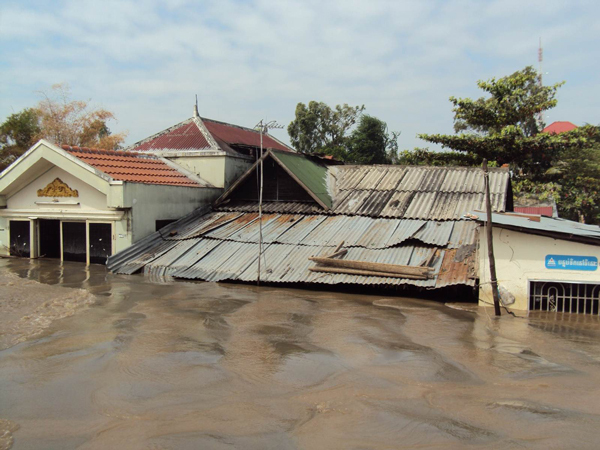 The filling of the lake caused serious flooding in the surrounding villages, leading many families to pack up and leave because their homes became uninhabitable. As of April 2014, an estimated 3500 families have been coerced into accepting compensation for a fraction of the market value for their homes and land. This has driven many families into destitution. The Boeung Kak evictions may constitute the largest single forced relocation of Cambodians since the Khmer Rouge evacuated Phnom Penh in 1975. 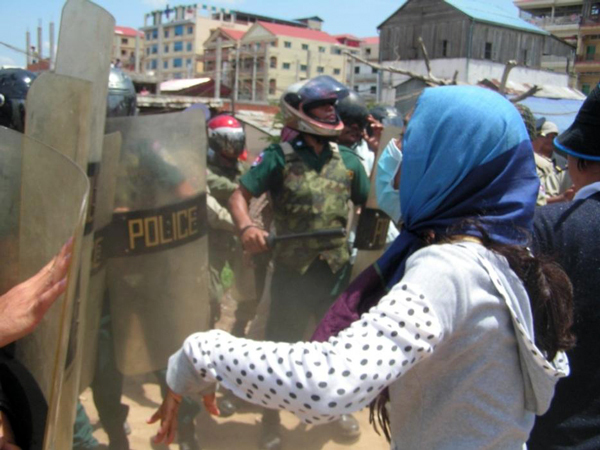 Boueng Kak residents have attempted to challenge this unjust development through the courts of Cambodia and by sending complaints to the competent Government authorities, but these complaints were all rejected. Dozens of protests by the residents have been met with threats, arrests and excessive force by the authorities. During one incident that took place on October 28th, when a group of peaceful protesters gathered to seek the intervention of UN Secretary-General Ban Ki Moon who was visiting Cambodia, anti-riot police launched a violent assault on the protesters, beating them to the ground and shocking people with electric batons. 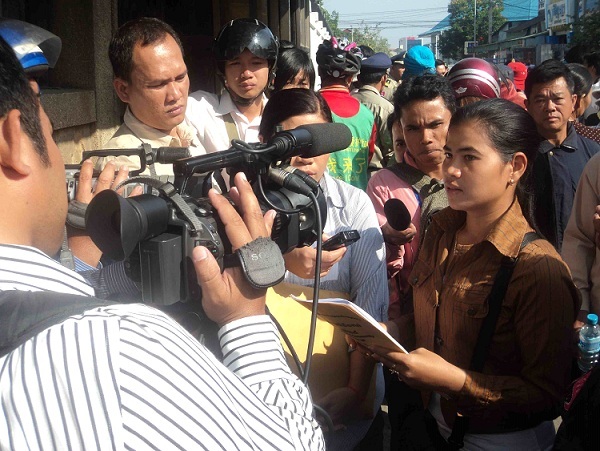 One activist, Suong Sophorn, was arrested and viciously beaten, resulting in a severe wound to the head. In February 2011, the community put forward an alternative proposal for in situ resettlement and onsite upgraded housing on 12% of the leased area, which they developed in collaboration with housing rights organizations. They presented their plan to all relevant government agencies. It was rejected. In addition to petitioning the Government, the community also wrote to Erdos Hong Jun Investment Co., Ltd., asking for it to support their onsite housing proposal. The Housing Rights Task Force (HRTF) coalition also wrote to Erdos urging it to be a responsible corporate citizen and support the community’s just demands by incorporating them into its development plan. As of December 2011, Erdos has not responded to the letters. Click here to download the HRTF letter in English and Chinese. In September 2009, IDI associates assisted community representatives to prepare a complaint to the World Bank Inspection Panel, alleging that the World Bank breached its operational policies by failing to adequately supervise the Land Management and Administration Project (LMAP). This World Bank financed land titling project was established with the stated aim of improving security of tenure for the poor and reducing land conflicts in Cambodia by systematically registering land and issuing titles across the country. However, land-grabbing and forced evictions have escalated significantly over the last ten years, while many vulnerable households have been arbitrarily excluded from the titling system. This exclusion has denied these households protection against land-grabbing and adequate compensation for their expropriated land, often thrusting them into conditions of extreme poverty. Despite many households having strong evidence to prove their legal rights to the land, Boeung Kak residents were excluded from the titling system when land registration was carried out in their neighborhood in 2006. Shortly thereafter, the Cambodian Government granted the Boeung Kak lease to Shukaku, and the 4000 families residing in the area were suddenly classified as illegal squatters on State-owned land. In addition to being unfairly denied title en masse, residents were also denied the protection of the LMAP Resettlement Policy Framework (RPF), which established a fair process for resettlement and compensation of people found to be residing on State land, in accordance with World Bank social safeguards. The Inspection Panel found in favor of the Boeung Kak community’s claim that non-compliance with Bank safeguard policies in the design, implementation and supervision of LMAP contributed to the harms that they had suffered. Accordingly, Bank Management made a number of commitments to attempt to address harms suffered. Specifically, it committed to “working with the Government and Development Partners towards ensuring that the communities who filed the Request will be supported in a way consistent with the Resettlement Policy Framework.” Further, Management pledged to “continue to pursue actions so that people can benefit from a set of protection measures in line with what they would have received under the RPF,” including the possibility of using other World Bank credits or trust fund mechanisms. The Cambodian government, however, showed no willingness to cooperate with the Bank on these remedial actions. In turn, Bank Management informed the Government that it would stop providing loans to Cambodia and would not resume lending until there was a satisfactory resolution of the Boeung Kak case. Within a week after this lending freeze became public knowledge, on August 17th, the Cambodian government issued a sub-decree granting title to the remaining 800 families over 12.44 hectares of residential land in the Boeung Kak area. By the end of December 2011, more than 500 families had received titles. 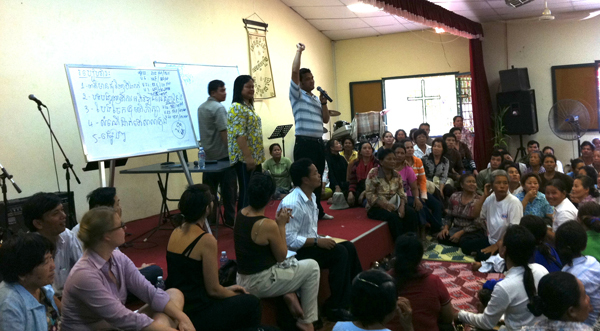 This marked a significant and rare human rights victory in Cambodia. Thousands of people who were facing the prospect of forced displacement and impoverishment, for the first time, have formal legal security to their homes and land. Moreover, in a country where powerful people routinely act above the law with impunity, and poor and marginalized people have no access to justice, ordinary Cambodian families were able to access an independent accountability mechanism and obtain a just and meaningful remedy. Despite this considerable positive development, the case is by no means closed. At least 90 families were excluded from the land concession and live under a daily threat of being forcibly evicted. While the community remains united in its struggle for a resolution for all Boeung Kak residents, the constant pressure is taking a severe toll on their lives. In November 2011, Chea Dara, one of the excluded residents and mother of two, committed suicide. Her friends have attributed this to the pressure and anxiety caused from the news that her family was excluded from the concession. A further concern is that households that are included in the concession are required by the sub-decree to “construct their housing in accordance with urban construction regulations.” Without adequate support, poor families will not have the capacity to upgrade their own housing in accordance with these regulations, and they are worried that they may be evicted in the future under this new pretext. Furthermore, over the past few years, approximately 3500 families were displaced from their homes in the Boeung Kak area after accepting inadequate compensation under extreme duress. These families are not benefiting in any way from the Prime Minister’s sub-decree and many have experienced negative social and economic impacts, including impoverishment, as a result of the eviction. IDI stands in solidarity with the Boeung Kak community and our Cambodian civil society partners in demanding that the excluded families be provided with housing within the 12.44 hectare concession and that all displaced Boeung Kak families be provided with fair and just restitution. VIDEO: Children’s call to Free the 15!